He'll look adorable wearing this FENDI Boys soft puffer style jacket with a silky smooth feel. Best of all this Monster themed coat is reversible – one side is black with a rubber logo and the other side has a Bag Bugs and Monster eyes print in blue, red and green. 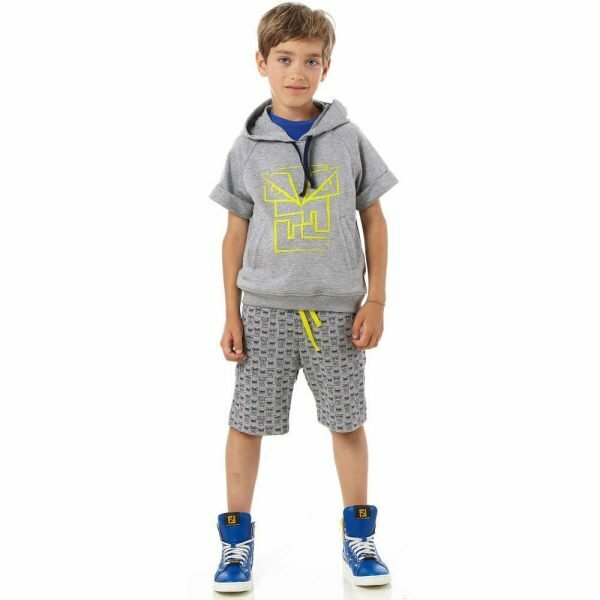 Complete this stylish Fendi look with this Boys Navy Blue 'Monster Robot' Sweatshirt with the Fendi FF logo and embroidered eyes. Add a pair of FENDI Boys Black Slim Fit Denim Jeans and Black Leather 'Monster' Zip-Up Boots and he has the perfect Italian designed streetwear look!